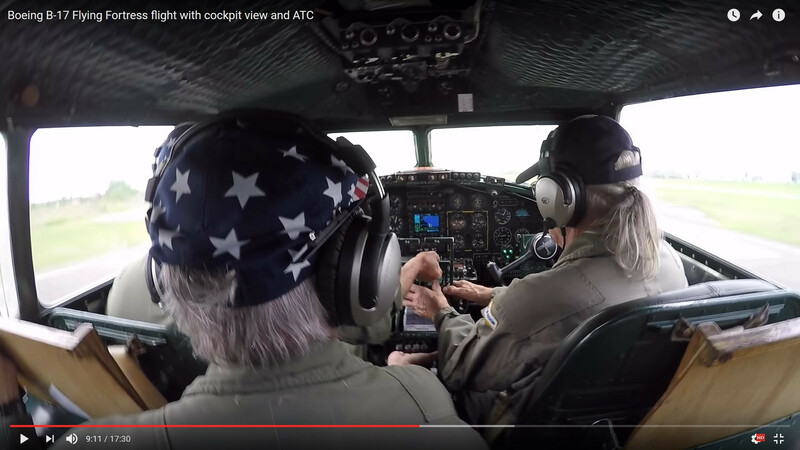 I watched a video of a a B17 taking off, and as you can see on the attached image, there are 4 hands on the throttles: the PF's right hand, both PNF's hands, and even the F/E has his hand under the throttles. What's the reason for that? I understand the policy of the PNF having his/her hands on the throttles (as explained in this answer, for instance), but what about the F/E, what is he holding? At the bottom, the 4 levers control the pitch of the propeller blades. The FE is holding them to ensure that they are at full pitch for the entire take-off run. The large levers in the middle are the throttles which (partly) control the manifold pressure (and power) that the engines are producing. Two pilots have hands on the throttles to ensure that all 4 engines are producing full take-off power. But there are 4 more levers that nobody has their hands on, which control the waste gates for the turbocharged engines. These open or close the waste gates, and allow the turbo to make power. There are another 4 levers on older consoles that control the mixture settings. The levers shown above may be the mixture levers, its difficult to tell from this picture because it looks like the quadrant has been upgraded. If you want to see a good video on how all these levers work, here is a really good YouTube video describing how to fly a B-17, start from about the 2:30 second mark, but its an interesting watch. Actually, the 4 levers mentioned above that the previous comentor indicated controlled the supercharger are actually for the mixture. The supercharger control is the box on the left of the throttle quadrant with the dial thingy on it. 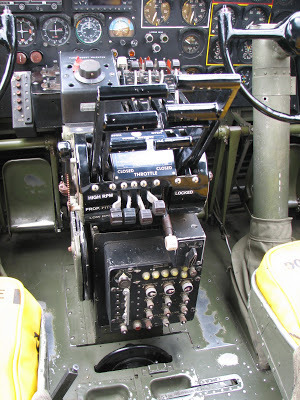 In late model B-17s, the superchargers were controlled that way. In easier models, that box wasn't there, but there were 4 levers to control each engines supercharger individually. Not the answer you're looking for? 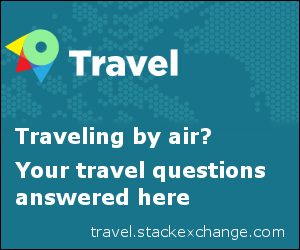 Browse other questions tagged takeoff aviation-history or ask your own question. Why does the co-pilot sometimes keep a hand on the throttle as well as the pilot?